This is what I need to start. The new Avon neck an chest cream to firm and sculpt. 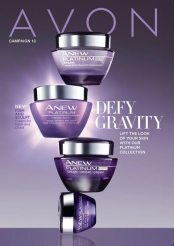 This Avon Brochure is good until June 14, 2017.